Strong, resilient marriages and families are the vessel within which men, women and children have the greatest opportunity to enjoy happy, healthy, fulfilling lives. Many of the social breakdowns that contribute to national challenges such as poverty, homelessness, violent crime, drug and alcohol abuse, teen pregnancy, incarceration and recidivism, abortion, school drop-outs, and similar trials can be traced directly to the far-reaching, lasting impact of marital and family breakdown. More than thirty years ago, Lori Gordon, a Northern Virginia marriage and family therapist whose early career included extensive work with adolescents in residential treatment centers, realized that one of the most important contributions mental health professionals and educators could make to children was to help their parents’ own relationships. In 1975, as a faculty member at American University’s School of Counseling in Washington, D.C., Mrs. Gordon developed the concept of relationship skills training into a semester-long course to help graduate students best serve their future clients. The course integrated, adapted and wove together ground-breaking work from pathfinders such as Virginia Satir, Daniel Casriel, George Bach and many others. From the beginning, the results were both remarkable and unambiguous. Soon after, Mrs. Gordon brought the course on the “practical application of intimate relationship skills,” known by the acronym “PAIRS,” to private practice clients struggling in their own marriages. Early assumptions about the potential for couples to achieve enduring breakthroughs through skills training in communication, emotional understanding, constructive conflict resolution, sensuality and sexuality, and other areas vital to healthy, love relationships were quickly and repeatedly validated; relationship skills founded on emotional literacy delivered through curriculum-based educational experiences became a powerful model for saving marriages. Mrs. Gordon began training other mental health professionals and clergy, presenting the results of her early work at conferences and in the media, and encouraging others to consider skills training as critical building blocks for work with couples in all stages of relationship. 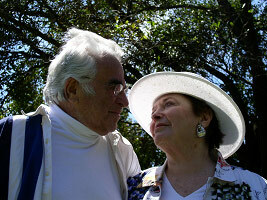 In 1983, together with her late husband, Rabbi Morris Gordon, Mrs. Gordon established PAIRS Foundation as a non-stock, not-for-profit corporation to guide the growth and development of PAIRS approach to relationship education. As a 501(c)(3) non-profit, the foundation provided a vehicle for many others to contribute time, energy and money to enhance the original curriculum, develop effective training methods, conduct research, and expand the program to communities throughout the world. PAIRS Foundation primarily operated out of Mrs. Gordon’s offices in Northern Virginia before relocating to Florida in 2000, where it was also incorporated. In 1987, the PAIRS trademark was registered by PAIRS Foundation with the United States Patent and Trademark Office through registration number 1,442,482. In 1988, the complete 447-page PAIRS semester-long curriculum was copyrighted by the PAIRS Foundation through registration number 2422429. In 1989, the PAIRS curriculum guide, an extensive training manual for therapists, was also copyrighted by PAIRS Foundation through registration number 2641343. Over the next decade and a half, Mrs. Gordon and others operating under the umbrella of the non-profit, tax-exempt PAIRS Foundation created numerous derivatives of the original PAIRS program to provide a range of one-day, weekend, and multi-week classes. On October 1, 2004, Mrs. Gordon fully assigned the entire value of her interest in the range of PAIRS programs to an Irrevocable Trust, naming PAIRS Foundation as 100 percent beneficiary. Mrs. Gordon’s early vision, fueled by the efforts and contributions of many others, gave birth to what is today one of the world’s preeminent marriage education/relationship skills training programs. Through a network of more than 2,000 program instructors trained and licensed by PAIRS Foundation, PAIRS classes regularly transform the lives of diverse participants of all ages, socio-economic, religious, ethnic, and cultural backgrounds. In 2006, as a result of a multi-million dollar, multi-year federal grant provided by the U.S. Department of Health and Human Services, Administration for Children and Families, PAIRS Foundation began an exhaustive five-year study of the impact of relationship skills training through a demonstration project involving over 5,000 participants in Florida’s Miami-Dade, Broward, and Palm Beach counties. Early results of the ongoing study have consistently validated the significant, lasting impact of PAIRS most popular classes for couples and singles in any stage of relationship: PAIRS Essentials and PAIRS for Life. PAIRS Foundation continues to oversee program development, refinement, ethics, rigorous quality management, and ongoing training for course instructors. Educators, counselors, health care professionals, clergy and lay leaders nationwide are regularly invited to partner with PAIRS Foundation to deliver programs that strengthen marriages, relationships, families and improve outcomes for children in their communities.